A partial settlement with the EU trade spat avoids catastrophe. But the industry still faces severe problems. China’s embattled solar industry received a semi-reprieve last week when the EU-China solar trade spat reached a partial settlement. Whilst the deal agreed will provide some relief for China’s photo-voltaic (PV) cell makers, there is still room for European competitors to challenge the ruling, and it must be approved by the EU Commission later this week. What’s more, the EU is also considering separate duties on Chinese solar panels to counter alleged subsidies received by Chinese producers. The preliminary and threatened follow-up action by EU Trade Commissioner De Gucht had posed a serious threat to China’s PV cell manufacturers, particularly given the unrelated and deeper problems facing the industry. 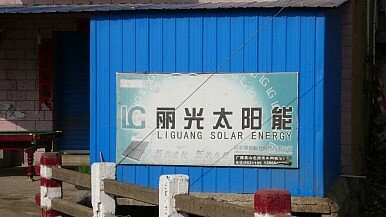 The potential catastrophe facing China’s solar industry should the EU have continued with the full range of potential action was highlighted by the strength of the Chinese response: Beijing launched what were widely deemed to be retaliatory actions against not only the solar-related product of polysilicon, but also against imports of European wine, with a possible case against luxury cars also being mentioned. After the watered-down action was announced by Brussels on Saturday, it took only a day for the Chinese side to announce a reciprocal freeze of these investigations into wine and polysilicon. The Chinese side indeed has much reason to be pleased, as the deal’s minimum price clause (56 cents per watt) is much lower than the level requested by the EU complainants (80 cents per watt or more). On the other hand, there is also a volume limit intended to “carve-out” a segment of the European solar market for non-Chinese manufacturers. As it is, there is still much bitterness in the air. As the EU Commission faced a rare lack of support from EU member states, accusations about the reliability of investigative methods have been made, and Milan Mitzschke, president of EU ProSun – the body representing European solar manufacturers – has described the announced agreement as “…not a solution but a capitulation”. EU ProSun also already suggested that they will mount a legal challenge to the settlement. On top of these doubts, there is still a further EU trade case targeting alleged subsidies received by Chinese solar manufacturers that has yet to be resolved. This fact probably explains why the Chinese investigations into wine and polysilicon have been “frozen” rather than removed entirely. Even with the soft settlement in the EU anti-dumping case, China’s solar manufacturers still face a host of difficulties. Their debt problems and solvency predicaments continue, overcapacity still haunts the sector, and consolidation remains likely in the future. These firms must now find new markets – be they in the non-EU abroad or, if the Chinese government decides to help, back home. There is still plenty of drama to come. Despite not naming any country, China seems to be the obvious target of new anti-dumping rules.